On the 29th of November 1877, Thomas Edison, an American inventor and businessman, demonstrated his phonograph for the first time. It is difficult for us to imagine the kind of stir it caused as we have become so used to listening to music in practically every sphere of our everyday life that we take it for granted; we hear music at home, walking down the street, in shops and supermarkets, pubs and nightclubs or even public toilets! There have been also so many inventions since Edison that we have come to the point where we can be hardly surprised anymore. But in the nineteenth century novelties were granted with a great public interest as they often seemed to have transgressed the impossible barriers of physics. And so when Edison’s voice, reciting a popular nursery rhyme “Mary had a little lamb”, came out of a small piece of tinfoil, in the eyes of the public that was not just science – that was magic! The phonograph was quickly deemed a greater invention than even the telephone. This first phonograph was recorded on tinfoil around a grooved cylinder; therefore it could only be replayed a few times. 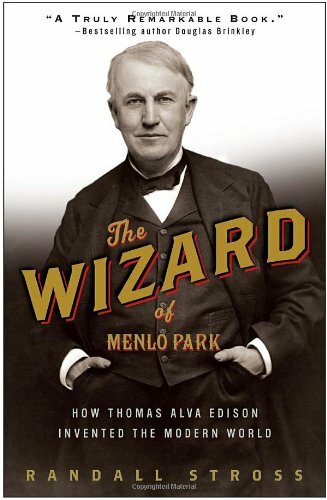 The quality of the recording was very poor, but Edison, who was soon to be called ‘The Wizard of Menlo Park’, had established himself as one of the greatest inventors of all time. “Edison first began to think of reproducing sounds mechanically, from reflecting on the record made on a disk by a needle attached to a telegraph key. 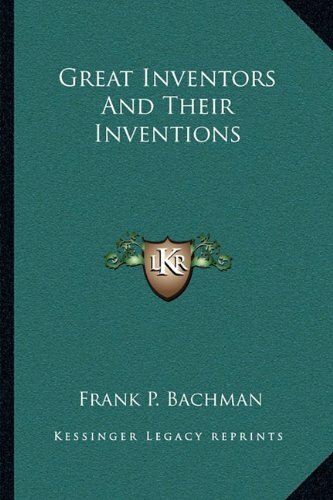 From working with a phonautograph, the instrument used by Bell to record sound waves on a smoked paper, he conceived the idea of recording sounds on tin foil or on a wax disk, and then sending the needle back over the grooves to reproduce the sounds.” (Frank P. Bachman, Great Inventors and Their Inventions ). The phonograph was just a one small drop in the ocean of Edison’s creativeness. Throughout his lifetime he had taken out about fourteen hundred patents. He took out his first patent in 1869 for a vote-recording machine that was meant to secure privacy in voting and prevent fraud. Unfortunately this invention was rejected by – surprise, surprise! – the politicians, and so Edison had to abandon his idea of bringing order and honesty into the voting system. But the whole experience was a great lesson to Edison who decided to avoid making inventions which were not wanted and focus on those which had the potential of becoming commercially successful. So, the whole process of inventiveness became much more rational than one might expect. Before stepping onto a new venture, Edison would first assess the possible demand for it, the average cost of making the invention, and the eventual financial gains from its manufacture and sale. Also, he would not work on it on his own. Some would actually say that, “Edison’s major innovation was the first industrial research lab, which was built in Menlo Park, New Jersey. It was the first institution set up with the specific purpose of producing constant technological innovation and improvement. Edison was legally attributed with most of the inventions produced there, though many employees carried out research and development work under his direction.” (Thomas Edison: Life of an Electrifying Man). The creative act of invention included three basic phases: employment of mental models, heuristics and mechanical representations. So, what are mental models then ? Well, they are most of all the ideas born in the mind of an inventor, for in order to build something one must most likely imagine it at first. But how to imagine something that has not been imagined before by anybody else? Most inventors use references to something that already exists. Bernard Carlson and Michael E. Gorman explain this process by referring to Edison’s next great invention – the kinetoscope. “In this particular case, the mental model was an analogy with the phonograph. 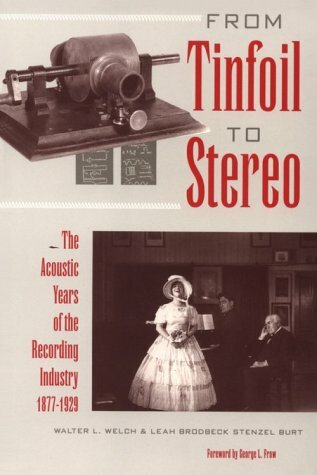 If one could use a machine to record sound, Edison reasoned, why not record motion using phonographs in some way? As he stated in the opening lines of his first patent caveat for the kinetoscope: I am experimenting upon an instrument which does for the Eye what the phonograph does for the Ear, which is the recording and reproduction of things in motion, and in such a form as to be both cheap, practical and convenient. This apparatus I call a Kinematoscope.” (W. Bernard Carlson and Michel E. Gorman, Understanding Invention as a Cognitive Process: The Case of Thomas Edison and Early Motion Pictures, 1888-91, Social Studies of Science, Vol. 20, No. 3, Aug., 1990). The next one of Edison’s inventive acts was heuristics. “Heuristic… was the name of a certain branch of study, not very clearly circumscribed, belonging to logic, or to philosophy, or to psychology, often outlined, seldom presented in detail, and as good as forgotten today. The aim of heuristic is to study the methods and rules of discovery and invention.” (G. Polya, How to Solve it: A New Aspect of Mathematical Method). In other words, heuristics implies a method of trial and error. So, for example, “With the phonograph in 1888 and 1889, Edison delegated one experimenter to study the recording process, another to the chemical make-up of the record cylinders, and a third to the phonograph’s electric motor. After letting these experimenters work on these different assignments, Edison gathered their various solutions and shaped or edited them into a coherent invention.” (Carlson, Gorman). Heuristics is a long process of problem solving, examining abstract cases on concrete examples, and linking the firstly conceptualised idea with the final product of inventiveness called mechanical representation.